Our productions provide the highest quality experience for those who are viewing your event remotely. This is not a postage stamp video window. Your viewers will be able to watch your event in full screen HD on their own computer. We do this using a variety of professional equipment that provides the highest quality possible. 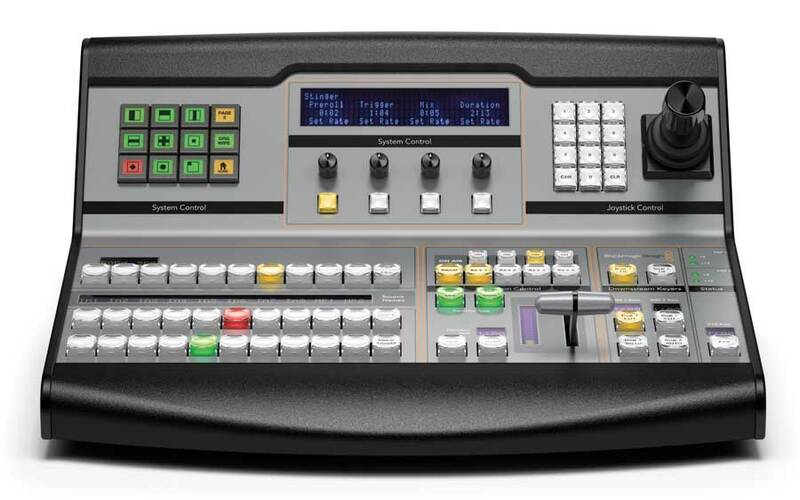 The ATEM 1/ME Broadcast Panel is a hardware control panel used to control the video switcher directly. We have the capacity to record almost 9 hours of the highest quality video from your event on our standard 2x512GB SSD hard drives. We can record ANY length of event by rotating the hard drives WHILE RECORDING. Trust us… this is a very cool thing to do. The Behringer Ultracurve Pro allows us to manage the audio input to the switcher – adding audio delay, modifying EQ, adding compression. All this makes sure the audio sounds THE BEST. At most events there is always a need to connect to some gear or equipment that “doesn’t quite fit”. Thankfully we have an arsenal of converters and adapters that allow us to work with just about anything we have come across. 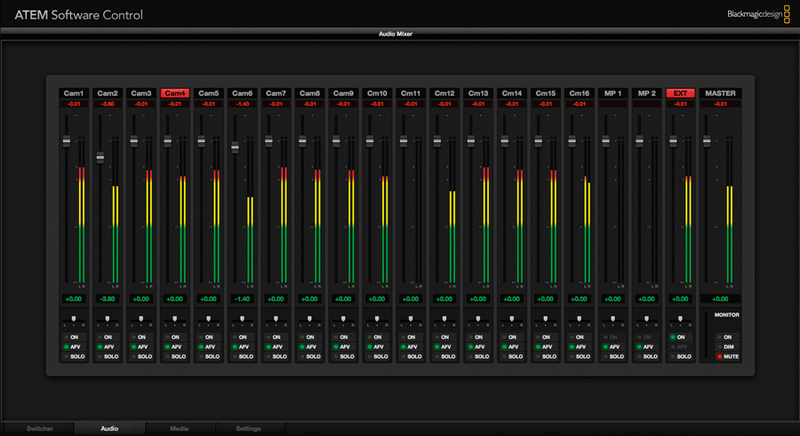 This is the main control system for the switcher. Everything can be controlled via our PC’s, MACs and even iPads.